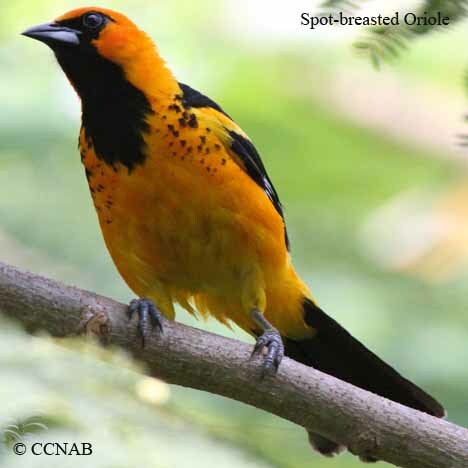 Species: The Spot-breasted Oriole (Icterus pectoralis), is an introduced oriole to North America. This native bird to Mexico and Central America was first discovered in Florida in the late 1940's and is now found in local city parks and woodlands. 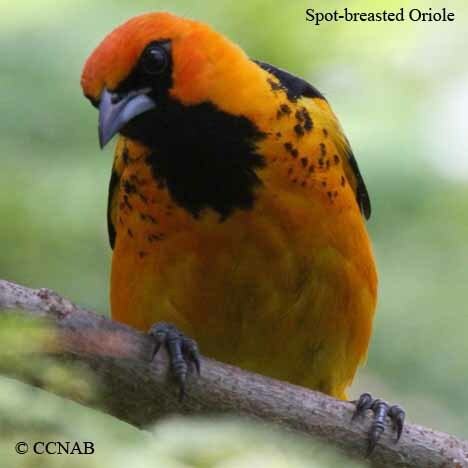 Distinctions: This dark orange bird, is identified by its orange head and body, black lores, back, wings and tail. Large white area on wings caused from white tertials, orange epaulette. Female is similar, except for an olive-green mantle and not as defined white epaulettes. The juvenile has olive-green mantle, light orange body and does not have dark lores. Voice: Sound somewhat similar to most orioles songs, including the chattering notes. Nesting: Three to five light blue or dull white eggs, with dark squiggles, 1 brood per year. 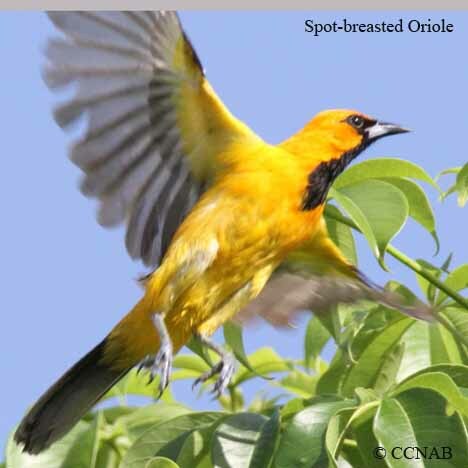 Orioles build their nests high in the crown of trees. These nests are in the shape of hanging baskets, attached to the limbs with woven basket-like handles. The nests are built from plant fibre, bark from branches, grasses, strings and any other such materials that can be manipulated. 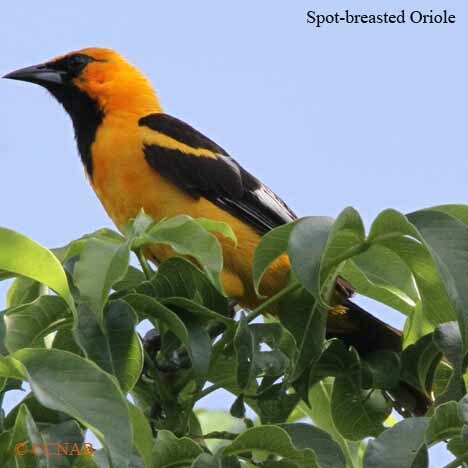 Distribution:The Spot-breasted Oriole is found throughout wooded area, parks and residential trees in the south-east areas of Florida. 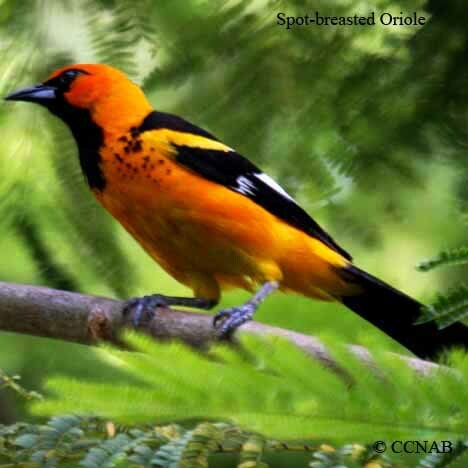 The Spot-breasted Oriole was introduced to the State of Florida in the late 1940's. This is a native bird of Mexico and Central America.